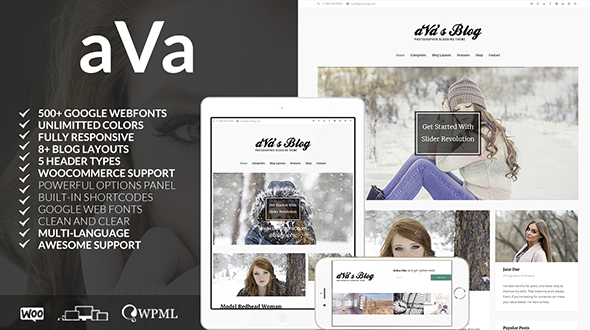 Ava is a clean and responsive blogging theme design. It is suitable for any kind of blog, personal, travel, hobby, lifestyle, photography, editorial, article, fashion, and tutorial blog sites. Installing and customizing this theme is very easy.